“E kore, e kore, e po, e po. Rahiri nga manu, tino awatea, ka awatea. 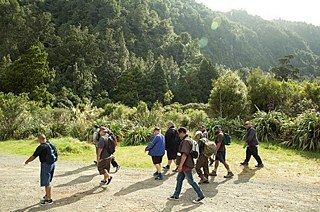 The karakia is to clear the way for the participants on the tour and to make sure they have a good day. “You have to remember that this area down here has a lot of history and we do the karakia to clear the way for things from the past,” Charles says. The track we are taking for the food tour is called Hongi’s Track because of the route fearsome Māori chief Hongi Hika took through this area – hauling canoes over land for twelve days – before launching a deadly attack on Mokoia Island near Rotorua. Charles Royal and a group for the food tour walk into the bush near Lake Rotoiti. 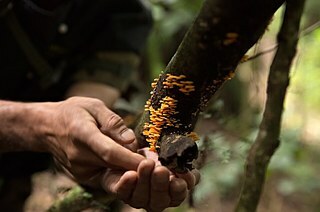 Foraging for mushrooms in the bush near Lake Rotoiti, New Zealand. Charles Royal points out pirita (also known as bush asparagus) on a food tour in the bush near Lake Rotoiti. 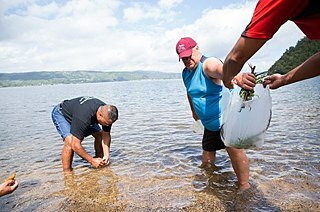 Tour participants washing pikopiko gathered from the bush in the waters of Lake Rotoiti. 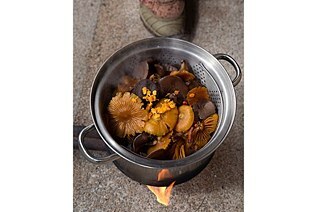 Edible mushrooms being cooked at the end of the food tour after foraging in the bush near Lake Rotoiti. 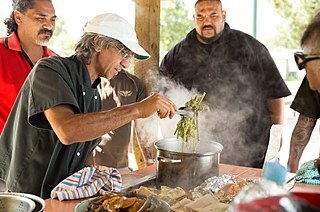 Charles Royal cooks a meal on the shores of Lake Rotoiti using ingredients found foraging in the bush. 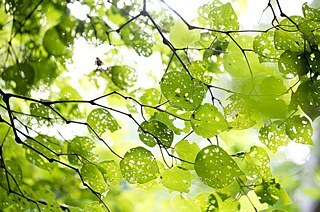 Kawakawa leaves in the bush near Lake Rotoiti. Gathering pikopiko in the bush near Lake Rotoiti. Pikopiko washed and ready to be cooked after being gathered from the bush near Lake Rotoiti. From a family of three boys, Charles – the middle child – found himself most often with his mother in the kitchen. Cooking for Charles started in those early years with strong memories of the house always being full of his mother’s baking. His career in food took a professional turn when he was recruited from high school to join the army as a chef where he earned his trade as a chef from the City & Guilds Institute of London. “I loved getting out there in the bush and the field cooking for the guys that had been out all day and were really tired and being able to give them something hearty so they could still get up and move and carry on,” Charles says. After ten years Charles left the army for a totally different type of cooking at New Zealand’s national airline, Air New Zealand. It was during his time working for Air New Zealand that Charles and his wife used the benefit of staff travel to see the world and discovered Cajun and Creole food which Charles saw as an inspiring mix of traditional and modern food. After running his own restaurants back in New Zealand – including a Cajun/Creole restaurant – Charles started asking why there was no one promoting Māori food, called kai in Maori. “I realised that apart from the hotels promoting hāngi [a traditional cooking method using heated rocks in a covered-in pit] and concerts there was nothing promoting our kai and I couldn’t understand why,” Charles says. Eventually he realised that it was the ingredients that the chefs couldn’t get and so he decided to use his skills and knowledge he’d picked up from his childhood and the traditions of Maori to start looking for those ingredients. Charles often does food tours for international tourists. However, the day I join him he is doing a tour with local Māori men as part of a health and wellness program. “One of the reasons I like doing the tours is passing on knowledge,” Charles says. Although Charles admits that he is always learning from the tours and the knowledge that the participants bring along through their own stories and memories from the bush. “I know what my mum’s taught me, speaking to old people, reading books, but my ears are always open”, Charles says. 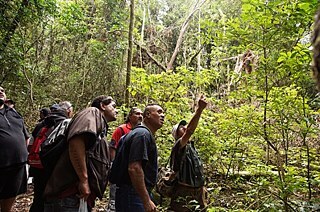 As we walk through the bush thick with vines and ferns and a dense canopy Charles stops to point out edible plants and berries that you might miss if you were going for a casual stroll and not keeping out a sharp eye. Pikopiko, kawakawa (a peppery tree leaf), ear fungus, pirita (supplejack vine) and even moss. Traditional Māori medicine or rongoā is having a resurgence and Charles shares various antidotes with us as we walk past the kawakawa tree. Not only can the leaves be used for tea and essential oils, but they have a long history of medicinal use. Charles explains how the leaves can be used as a poultice by boiling the leaves for three or four minutes and putting the leaves on the wound sunny side up and wrapping the poultice in clingfilm. Many of the tour participants have stories of using the kawakawa leaves as medicine. Charles tells a story of his wife who was chopping wood with an axe and accidentally swung the axe into her ankle. Within four days of receiving the nasty wound it was starting to heal. The edible part of the pirita vine is hard to spot to the untrained eye, but the plant sometimes known as bush asparagus can come in handy when stuck for food. Charles calls the tasty ends of the vine an energy food and says as a Type 1 diabetic that when he’s in the bush and hasn’t had anything to eat and is feeling a little low then that’s the food he looks for. Despite the dry weather we’ve had during the summer we also come across the beautiful and highly prized pikopiko young fern tips. New Zealand has over 200 varieties of fern, but only seven of these are edible. 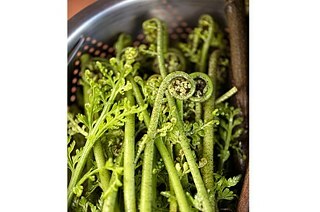 The sculptural green koru or curled fern tip says New Zealand like almost no other food and chefs use the fern uncooked as a signature garnish calling attention to the origins of the food. 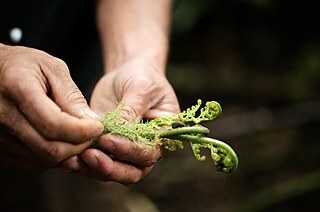 In addition to the food tours Charles runs a successful native foods business called Kinaki supplying sustainably foraged plants from the New Zealand bush to national and international chefs and other food businesses. Currently the biggest crop Charles harvests is the kawakawa leaf which is primarily sought after by tea companies. Charles enlists the help of local families and friends in order to fulfil his kawakawa orders. “It feels like you’re giving back something to the community,” Charles says. Charles only ever supplies plants when they are in season and picks them in a way that is sustainable for that plant. During the tour he takes care to share knowledge of where to pick the plant from so that it will grow back clean and strong creating more food for others on their way through the bush. The tour ends with everyone emptying their bags of produce foraged from the bush - green pikopiko, pirita vines and wood ear mushrooms. The food is rinsed in the pristine waters of Lake Rotoiti and Charles expertly fires up a gas ring steaming the pikopiko and pirita vine and frying the mushrooms to serve the tour with smoked trout, venison and home made potato bread. It is a feast that we’ve all played some part in creating and gathered from the generous resources of Papatūānuku. Lottie Hedley is a kiwi photographer finding communities, telling stories, sharing food and making photographs. Copyright: Copyright: This work is licensed under a Attribution-NonCommercial-NoDerivatives 4.0 Germany License.